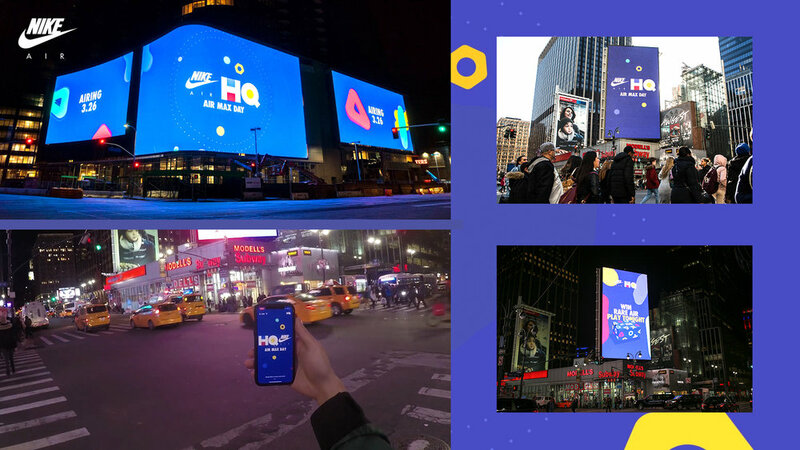 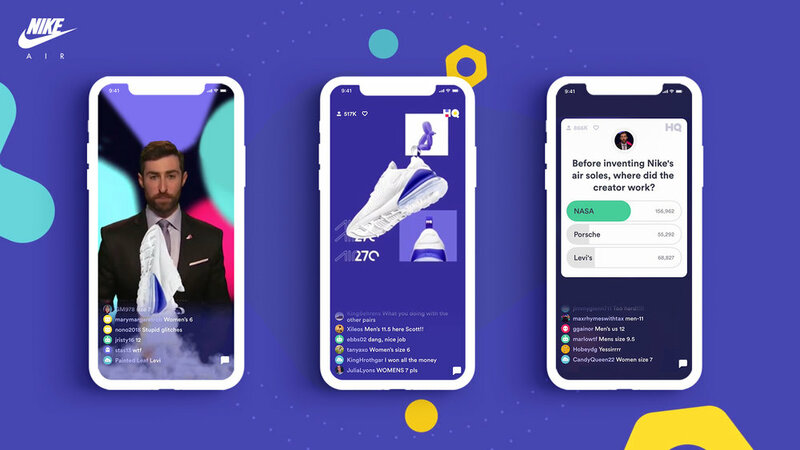 For Air Max Day, the annual event celebrating Nike’s most innovative and exciting sneaker franchise, Nike partnered with HQ, the world’s most innovative and exciting app, to give sneaker fans the game of a lifetime with 15 Nike Air focused questions. 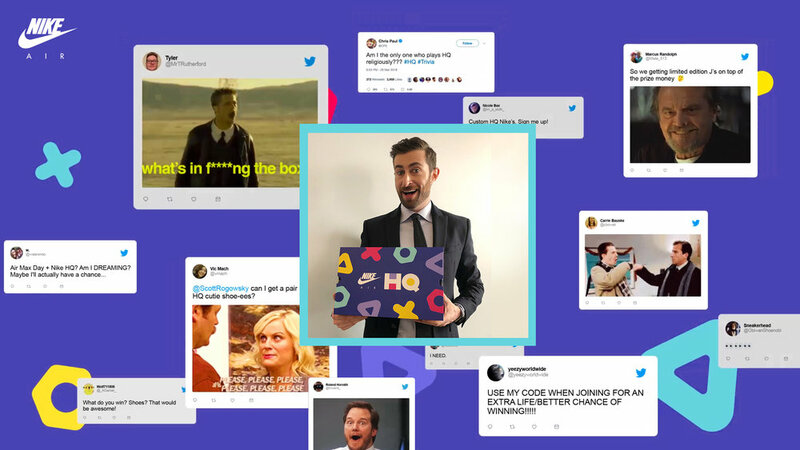 Winners not only split the largest cash prize to date, but were further surprised with a personal call from HQ host Scott Rogowsky and a pair of exclusive, HQ inspired AirMax 270s. 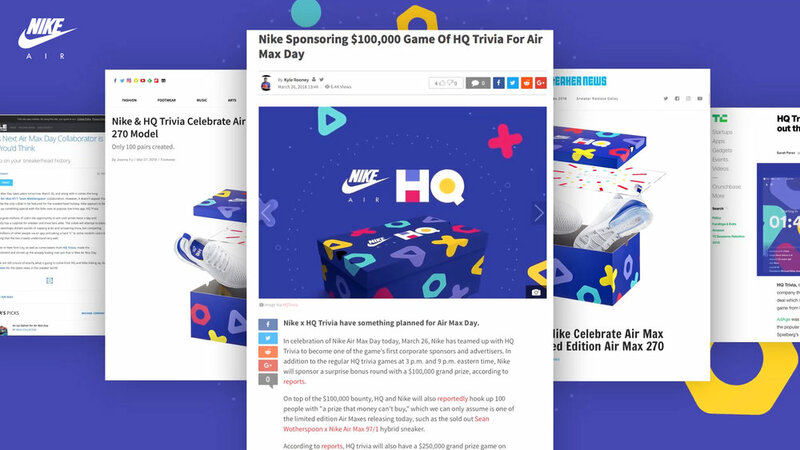 We turned the ultimate trivia experience into the most challenging sneaker release—ever.